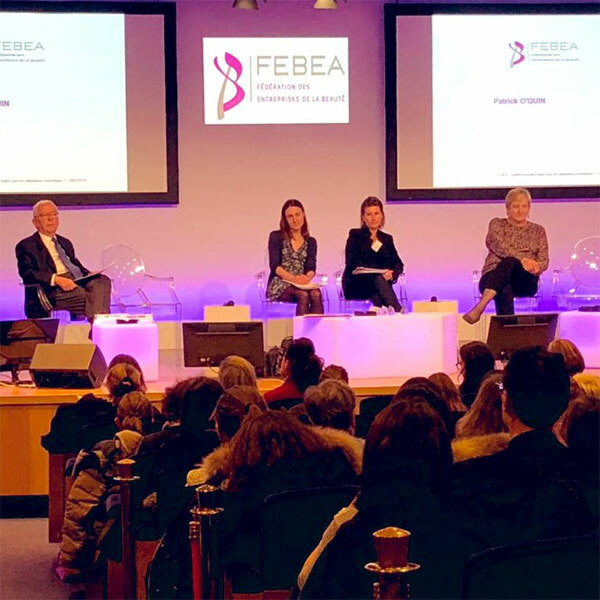 On 16 January 2019, FEBEA organised an information meeting on the new rules applicable to cosmetic claims as from next 1 July. After explaining why, how and with what implications the ARPP Recommendation Cosmetics Products had been updated following the publication of the European Technical Document on Cosmetic Claims, Anne Dux, Director of Scientific and Regulatory Affairs at FEBEA, Manuela Coroama, Senior Manager, Technical Regulatory Affairs at Cosmetics Europe, and Julie Joseph, ARPP Legal Advisor, answered questions from the audience. The definition of a cosmetic product refers to products having an action on the upper layers of the human body, and mentions the epidermis. What about cosmetics that act on the lower layers of the skin, such as the dermis for anti-stain or anti-wrinkle care? From which layer of skin is it considered that we are no longer under cosmetic status? If there is evidence, can an action be claimed, even if some steps of the mechanism take place in the dermis? This is an idea that we still encounter quite often, especially among consumer associations, which would like cosmetics to be applied to the skin, so it only works on the skin. That is completely false. All toxicologists will tell you that. The problem we have is that it passes the skin barrier. In the definition of the Cosmetics Regulation, it is never written that cosmetics should only act on the upper layers of the epidermis. It’s never written.